Immaculate full brick custom 4 bed with 3 full and 2 half bath home with bright open floor plan nestled along Crowders Creek in award winning Clover school district. Gorgeous hardwoods, SS appliances, Jenn-Air cook top and oven, master on main, laundry room and mud room area. Large bonus room. Full basement features home theater, billards room, office and full bath. Fireplace, and plantation shutters thru-out. Large deck overlooks beautiful yard that backs to woods with Koi pond and fenced dog lot. Cabinets in garage. Separate well for irrigation. Access to creek. 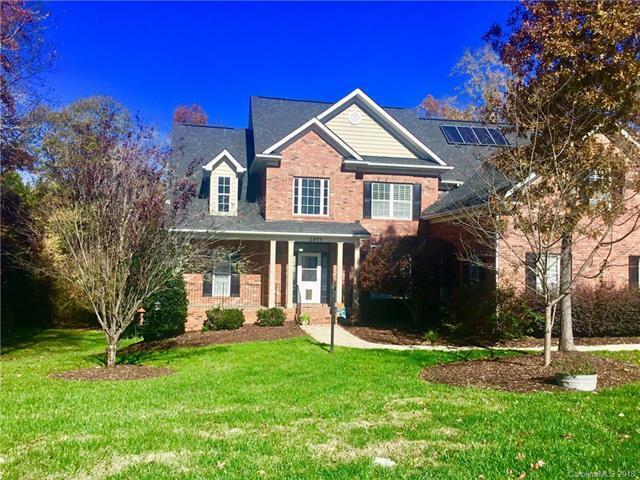 Situated in Patrick place subdivision on a quiet cul-de-sac - convenient to Charlotte yet seems worlds away from the hustle and bustle of the city! Low SC taxes. City water. Patrick Place is a small community featuring walking trails, picnic pavilion, basketball, and quaint rustic cabin for events. Seller is offering a home warranty!